The head of the Vermont National Guard has been confirmed by the Senate to a top post in the U.S. military’s homeland defense mission. Major General Michael Dubie will become Deputy Commander of the United States Northern Command, or NORTHCOM. Dubie was nominated to the post by President Barack Obama. He’ll now become a three-star general, and will serve at Peterson Air Force base in Colorado. In a joint statement, Vermont’s congressional delegation says Dubie has given Vermonters the benefit of his skill and leadership, and now the nation will have the value of his service in this vital and sensitive new assignment. Dubie has been head of the Vermont National Guard since 2006. 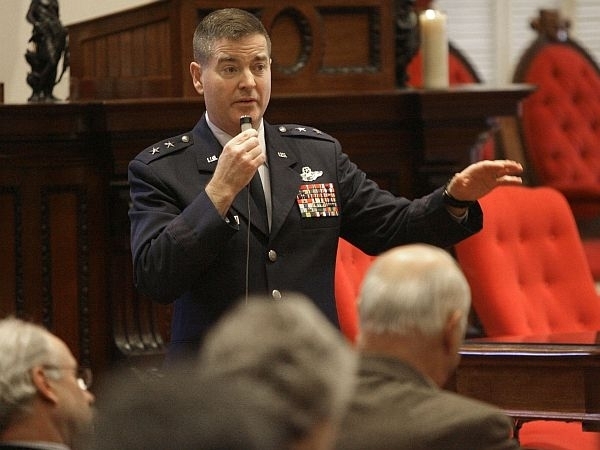 His deputy, Brigadier General Thomas Drew, is expected to become interim Adjutant General until a permanent replacement is chosen by the general assembly early next year. Major General Michael Dubie’s tenure as Adjutant General of the Vermont National Guard will end this year, when he’s confirmed as deputy commander of NORTHCOM. Dubie talks with VPR’s Jane Lindholm about his years heading the guard and the issues his successor will face. A lengthy, large-scale deployment of Vermont National Guard troops is nearing its conclusion, and Adjutant General Michael Dubie discusses the mission and the aftermath of the soldiers’ service in Afghanistan.